S.C. HEUSTON & CO (RUBBER) LTD was incorporated on 16th March 1995 (No. 3033920) and started operating as Brokers in Physical Rubber in April 1995. Steve joined Far Eastern Producers/Merchants Harrisons & Crosfield Ltd in their Rubber Department on 15th September 1975 with specific duties initially for H and C latex SDN-BHD - he has now acquired over 30 years experience in the natural rubber industry. Steve joined Rouse Woodstock Ltd as a rubber broker on the 4th June 1982 and continued his rubber broking career with Wm. Jas & Hy Thompson Ltd on 19th November 1984. He set up his own Independent Rubber Broking Company in April 1995 with an office in South London. He has many contacts in all the rubber producing countries. 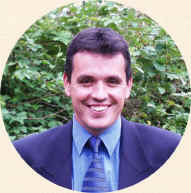 Andy joined the Marketing Department of Rowe Evans Investments Plc ( REI ) in 1989 and assisted in marketing various grades of natural rubber produced on estates owned in Malaysia and Indonesia. 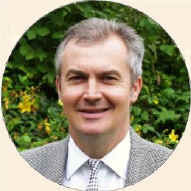 In 1993 he joined London-based Rubber Broker Wm Jas & Hy Thompson where he formed a successful partnership with Steve Heuston and in 1995 he teamed up with Steve in his new venture S.C. Heuston & Co (Rubber) Ltd.
Andy has travelled extensively in the Far East and USA and has close friendships with many of the key producers in Malaysia and Thailand etc and the Singapore trading houses-he is also a member of the RTAE Arbitration Panel.